Certain years are unquestionable in their top ranking of an undisputed masterpiece standing at the helm of its reputation. 1948 is not such a year. In fact, any of the top three titles could have easily taken the reins on a given day. Let’s talk about Red River for instance. Howard Hawks was a consummate craftsman that had very little patience for films with lofty ambitions. In fact, he was once quoted as saying, and I paraphrase, that “a ‘great’ movie is three good scenes and no bad ones.” And yet, Red River, despite all of its traditional characteristics indebted to the western, had already begun to redefine the genre. John Wayne, your meat (probably a T-Bone steak) and potatoes kind of guy, was already beginning to deviate from his black & white image of the knight and shining armor. His Thomas Dunson even predated The Searchers’ Ethan Edwards by questioning the morality of the film’s lead and probing the audience to reflect on their previous acceptance of the genre’s conventions. John Huston’s The Treasure of Sierra Madre took it even one step further by demanding that we not only contemplate the gradated ethics of the protagonist, but also acknowledge our own flaws as a human race. Pretty heavy stuff for the forties. And yet, the year has to go to an unconventional love story which by today’s standard would probably result in a restraining order. 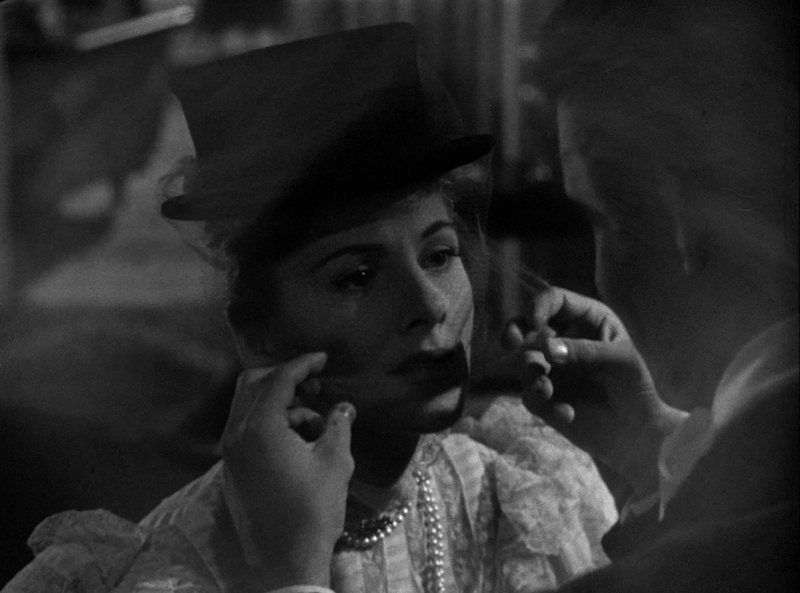 But cynicism aside, I always recall Max Ophüls’ Letter from an Unknown Woman as if experiencing it through a haze, a mist of some sort on a cold and rainy night. In fact, it’s because of the movie’s gung-ho sincerity in its love story – along with my “Brontë-like” setting watching it – that somehow Ophüls’ picture manages to rise above the rest of the studio system romantic schmaltz that was continuously churning out at the time. And boy was there a lot of it. As for the rest of the year, check it and see. It almost kills me to place The Red Shoes at number four. But there it is. Powell and Pressburger’s vibrant, luridly colored musical, is amongst many things an ode to the arts, achieving a masterly status in the world of cinema all the while its protagonist is eluded by such an aspiration towards his personal work in field of ballet. Then there’s a couple of film noirs riding the wave of disenchanted soldiers returning from war and their formerly independent wives burying their angst in gun-totting and smoke-filled pulp thrillers. Italian Neorealism was continuing to do its thing with one of its better known classics (Bicycle Thieves) and an underrated but nevertheless heartbreaking family saga (La Terra Trema) that should be as equally mentioned about today. Cap it off with Kurosawa’s first collaboration with Toshiro Mifune, and man, 1948, while not a benchmark year, was certainly holding its own. When you think of the movies chances are you probably conjure up images in your mind that include Humphrey Bogart and Ingrid Bergman bidding farewell one foggy night at the end of Casablanca. Or Cary Grant running for his life while a crop duster tries to gun him down in the middle of nowhere in North by Northwest. 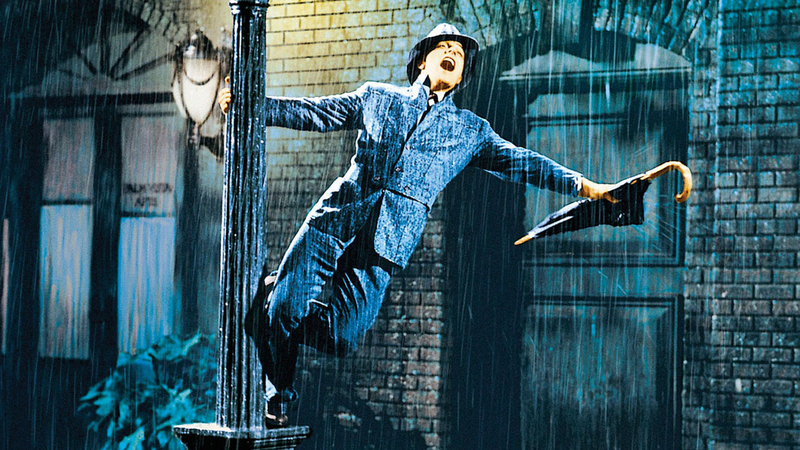 But there’s no denying that among these iconic scenes also stands Gene Kelly’s eponymous dance number in Singin’ in the Rain. In fact, it is rumored that during this exhilarating and now quintessential musical sequence, Kelly himself was battling a fever of 103 °F. But you’d never guess it! The minute the film begins it never lets go of its wondrous and buoyant momentum. Here was a prime example of what the Hollywood studio system could produce, a high-budgeted technicolor spectacle with stars, songs, and a happy ending. More often than not, it succeeded in telling a good story along with it all. But with Singin’ in the Rain the system got something more. It got a film that dealt with the trials of the motion picture industry transitioning to sound while in the real world Hollywood was desperately trying to survive a new and imposing competitor: Television. So musical numbers from forgotten movies were reintroduced, historical events were loosely incorporated, and the whole industry watched as a film steeped in its own celluloid past provided sheer fun and good laughs in a landmark that all other musicals continue to aspire to achieve today. Not surprisingly, over sixty years later, Singin’ in the Rain still provides those good laughs, as funny and joyous as they were in 1952. As fragmented as Orson Welles’ Othello is, it’s this same crude element – due to a complicated production history – that enhances the movie’s brooding temperament, not to mention its brilliant use of wide angle lenses to create a cavernous space of veils, bars, and shadows. Then there’s the spiritual odysseys embarked by the leading actresses in Europa ’51 and The Life of Oharu, which allow their films to transcend into a sanctified realm not often found in the cinema, a true rarity that makes a case for the movies as a medium that can attain a higher level of aesthetic beyond their entertainment value. The same can also be said about Akira Kurosawa’s heartbreaking portrayal of what extraordinary results can come out of one dying man’s compassion for others. 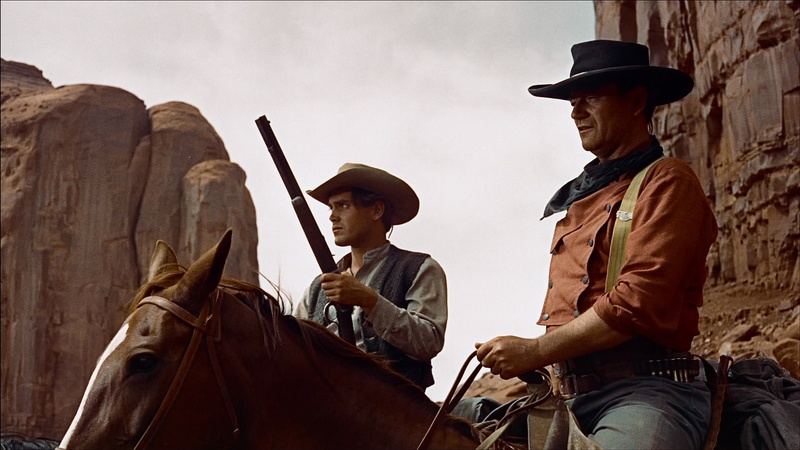 John Ford returned to his native land to shoot one of his most strikingly lush non-westerns, while Nicholas Ray rodeoed his way down to ranch country in The Lusty Men to dabble in Ford’s mastered genre. Those that just missed the ranks include Vittorio De Sica’s Umberto D., which, along with Europa ’51, demonstrated that Italian Neoralist films, although waning by early 1950’s, still had some brilliant titles left in their influential movement. Gérard Phillipe channeled his inner Errol Flynn in Fanfan la Tulipe, and Gary Cooper duked it out on his own for a showdown of the ages in High Noon. René Clément had the devastating Forbidden Games, while Fritz Lang delivered two great genre pictures, Rancho Notorious and Clash by Night. Add a couple of other classic westerns such as Anthony Mann’s Bend of the River, Howard Hawk’s The Big Sky; some taut B-noirs like Richard Fleischer’s The Narrow Margin, Phil Karlson’s Kansas City Confidential, and 1952 is beginning to look like quite the strong year for American cinema. Next week: 1987. Offering a swan song of a movie as beautiful to watch as it to listen to… the dialogue that is. Melodic, like an old Irish standard.